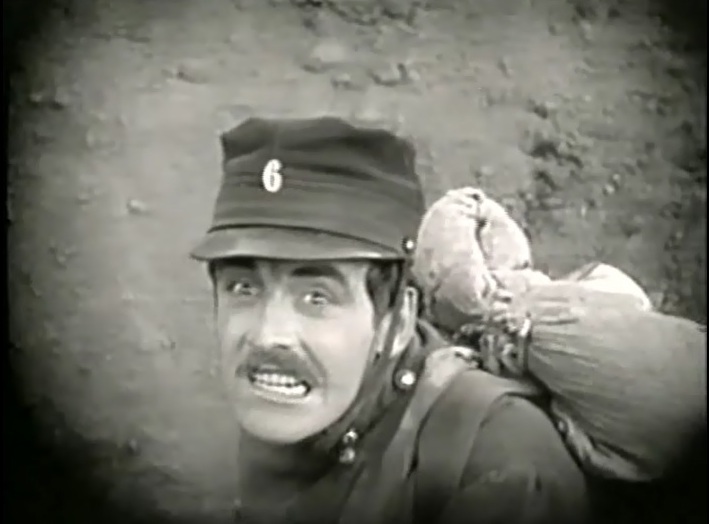 "Hearts of the World" (1918) is a war drama, included in our program to illustrate the work of two of our stars: actor Robert Harron and cinematographer Billy Bitzer. Two American families share a house in a peaceful French town. 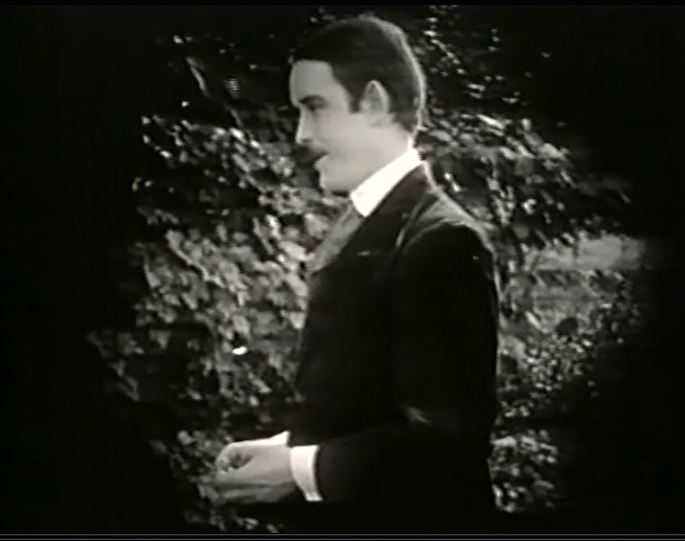 The Boy (Robert Harron) of one family and the Girl (Lillian Gish) of the other have a romance. The Boy is also liked a lot by another girl, "the little disturber" (Dorothy Gish), who follows him persistently and manages to steal a hug and a kiss. Unfortunately for the Boy, the Girl happens to witness the incident and makes him beg forgiveness, after which they reconcile and schedule their wedding. When the war breaks out, however, their plans turn to naught. The Boy joins the army and the Girl puts her wedding dress in a box. Despite heroic resistance from the defenders of the town, they are overcome by the brutal onslaught of the enemy. Many civilians die during the bombardments. The Girl is in shock and wanders out of town into the battlefield, where she finds the Boy prostrate and apparently lifeless. She spends with him what would have been their first night together after the wedding. Next morning the Girl returns and is nursed back to health by the "little disturber". Women of all ages are then forced by the occupants to do hard labor in the fields. Anyone who cannot work to their satisfaction is severely punished. In the meantime the Boy is rescued by the Red Cross and after recovery returns to the trenches for the allied counteroffensive. He then crosses the enemy lines and gets back in town, where he finds the Girl. Their hideout is discovered, however, and they perform a symbolic ceremony to meet death as man and wife. Then they hear the noise of the advancing friendly troops. The allied attack to liberate the town seems a race against the clock for the Boy and the Girl just as enemy soldiers are trying to break the door of their shelter. Lillian Gish speaks to a gosling in "Hearts of the World" (1918), directed by D. W. Griffith, cinematographer Billy Bitzer. Robert Harron likes the sight of Lillian Gish speaking to a gosling in "Hearts of the World" (1918), directed by D. W. Griffith, cinematographer Billy Bitzer. Robert Harron is adored by his little brother (Ben Alexander) in "Hearts of the World" (1918), directed by D. W. Griffith, cinematographer Billy Bitzer. Lillian Gish reads Robert Harron's verses as he watches in "Hearts of the World" (1918), directed by D. W. Griffith, cinematographer Billy Bitzer. Robert Harron is stopped by Dorothy Gish in "Hearts of the World" (1918), directed by D. W. Griffith, cinematographer Billy Bitzer. Robert Harron is really desired by Dorothy Gish in "Hearts of the World" (1918), directed by D. W. Griffith, cinematographer Billy Bitzer. 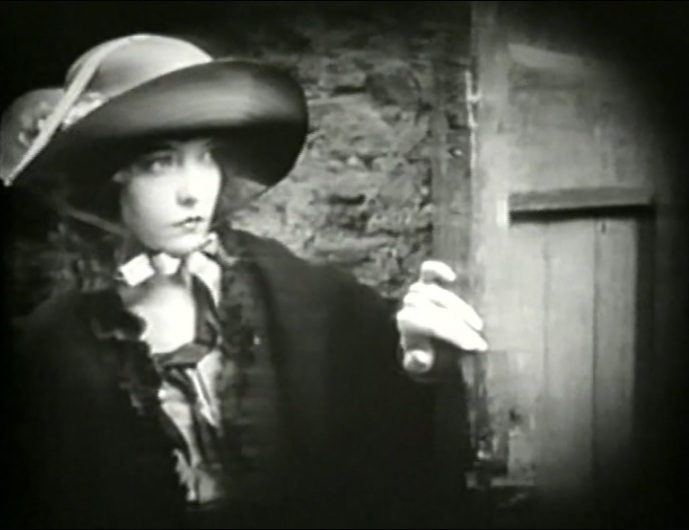 Lillian Gish waits for a chance to meet Robert Harron in "Hearts of the World" (1918), directed by D. W. Griffith, cinematographer Billy Bitzer. 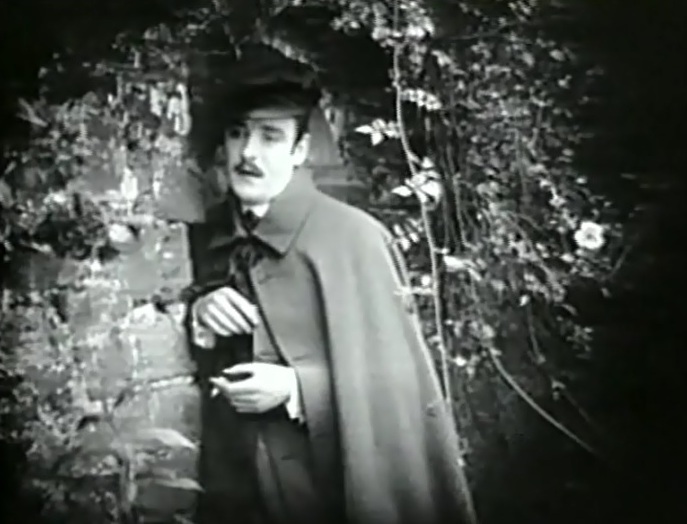 Robert Harron looks for a chance to meet Lillian Gish in "Hearts of the World" (1918), directed by D. W. Griffith, cinematographer Billy Bitzer. 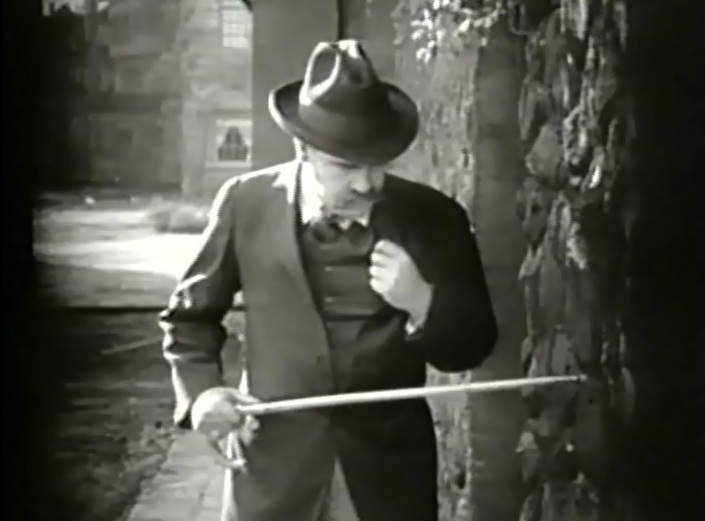 An enemy spy disguised as tourist checks the houses' foundations in "Hearts of the World" (1918), directed by D. W. Griffith, cinematographer Billy Bitzer. Robert Harron is kissed by Dorothy Gish in "Hearts of the World" (1918), directed by D. W. Griffith, cinematographer Billy Bitzer. Lillian Gish sees the kiss between Robert Harron and Dorothy Gish in "Hearts of the World" (1918), directed by D. W. Griffith, cinematographer Billy Bitzer. Lillian Gish makes Robert Harron beg forgiveness in "Hearts of the World" (1918), directed by D. W. Griffith, cinematographer Billy Bitzer. Lillian Gish forgives Robert Harron in "Hearts of the World" (1918), directed by D. W. Griffith, cinematographer Billy Bitzer. Robert Harron tells Lillian Gish that he won a literary award in "Hearts of the World" (1918), directed by D. W. Griffith, cinematographer Billy Bitzer. Robert Harron and Lillian Gish don't realize that the town Crier announces the start of the war in "Hearts of the World" (1918), directed by D. W. Griffith, cinematographer Billy Bitzer. Robert Harron kisses Lillian Gish farewell before going to battle in "Hearts of the World" (1918), directed by D. W. Griffith, cinematographer Billy Bitzer. 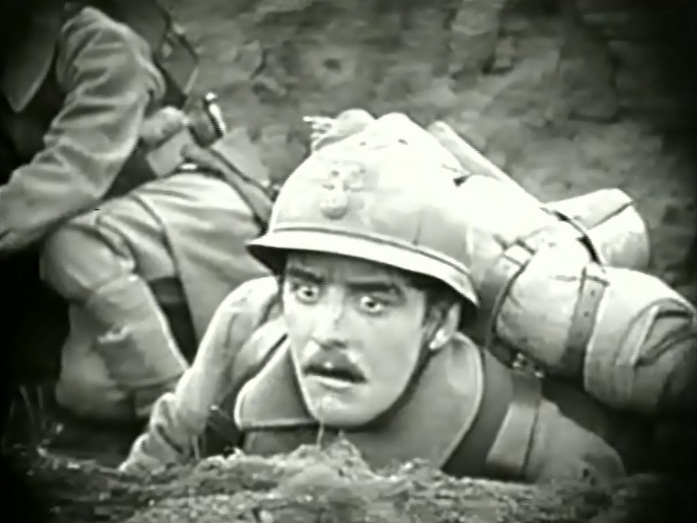 Robert Harron fights in the trenches in "Hearts of the World" (1918), directed by D. W. Griffith, cinematographer Billy Bitzer. 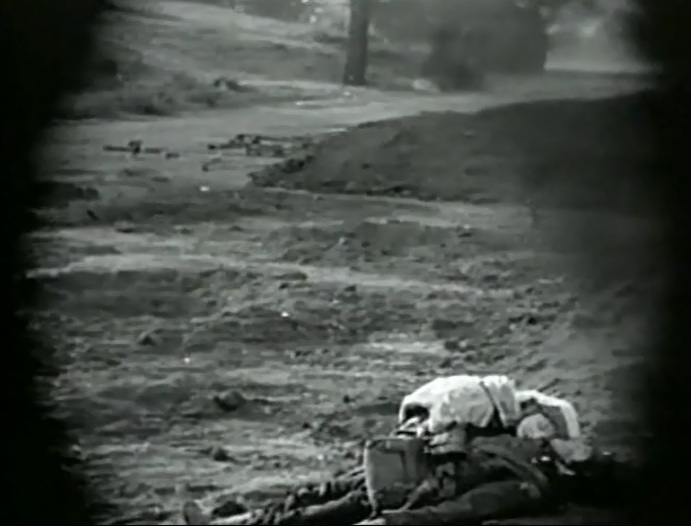 Robert Harron is gravely wounded in "Hearts of the World" (1918), directed by D. W. Griffith, cinematographer Billy Bitzer. Lillian Gish finds Robert Harron with no signs of life in "Hearts of the World" (1918), directed by D. W. Griffith, cinematographer Billy Bitzer. Lillian Gish spends what would have been her bridal night with Robert Harron on the field in "Hearts of the World" (1918), directed by D. W. Griffith, cinematographer Billy Bitzer. Lillian Gish is nursed back to health by Dorothy Gish in "Hearts of the World" (1918), directed by D. W. Griffith, cinematographer Billy Bitzer. 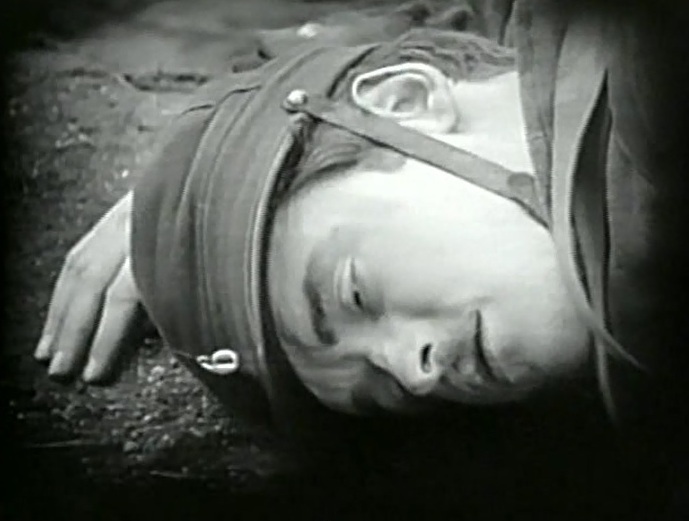 Robert Harron is back after recovering from his wounds in "Hearts of the World" (1918), directed by D. W. Griffith, cinematographer Billy Bitzer. 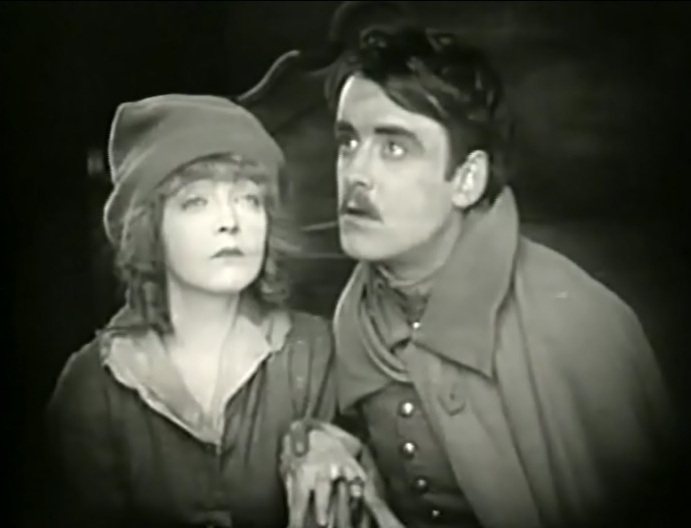 Robert Harron is not recognized by Lillian Gish in enemy uniform in "Hearts of the World" (1918), directed by D. W. Griffith, cinematographer Billy Bitzer. Lillian Gish realizes that Robert Harron is alive in "Hearts of the World" (1918), directed by D. W. Griffith, cinematographer Billy Bitzer. Robert Harron and Lillian Gish try to hide from the enemy in "Hearts of the World" (1918), directed by D. W. Griffith, cinematographer Billy Bitzer. Robert Harron and Lillian Gish pledge to die as man and wife in "Hearts of the World" (1918), directed by D. W. Griffith, cinematographer Billy Bitzer. Robert Harron and Lillian Gish hear the advancing allies in "Hearts of the World" (1918), directed by D. W. Griffith, cinematographer Billy Bitzer.